Putaway document referenced to the goods receipts will be generated. There is a link to the putaway document from the good receipts document, it will take user to the putaway view where the user is able to see the complete details of the putaway. 2. 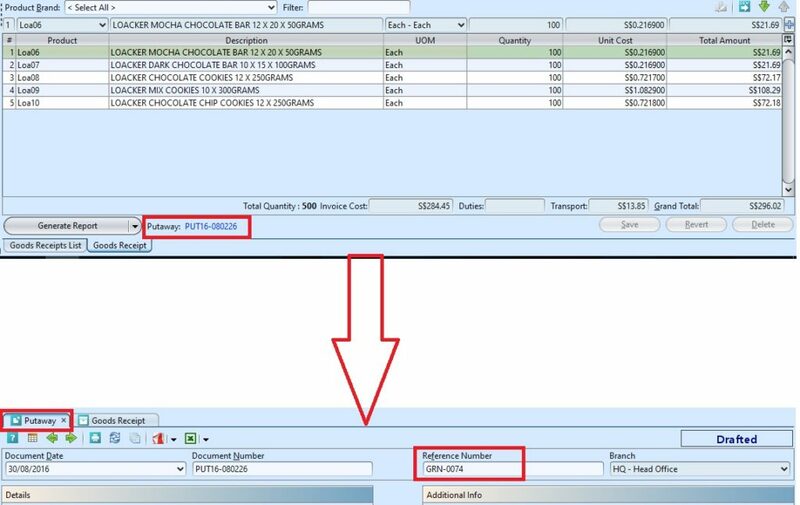 User may edit the goods receipt’s information, for example received quantity is different from the ordered quantity, or there are damaged items to be return. Update the information and click “Save” to save the changes. Click “Enter” or button if the user edited the products’ information in “Items/Articles” tab. 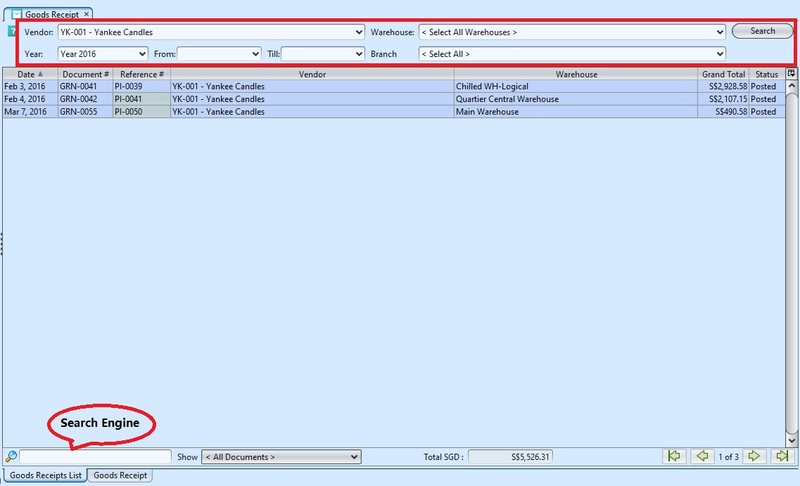 Note: If received quantity is less than ordered, the corresponding Purchase Invoice document will be highlighted in yellow color on the Purchase Invoice list view to indicate progress status as “Partially Completed”, as not all the ordered quantity was received. 3. 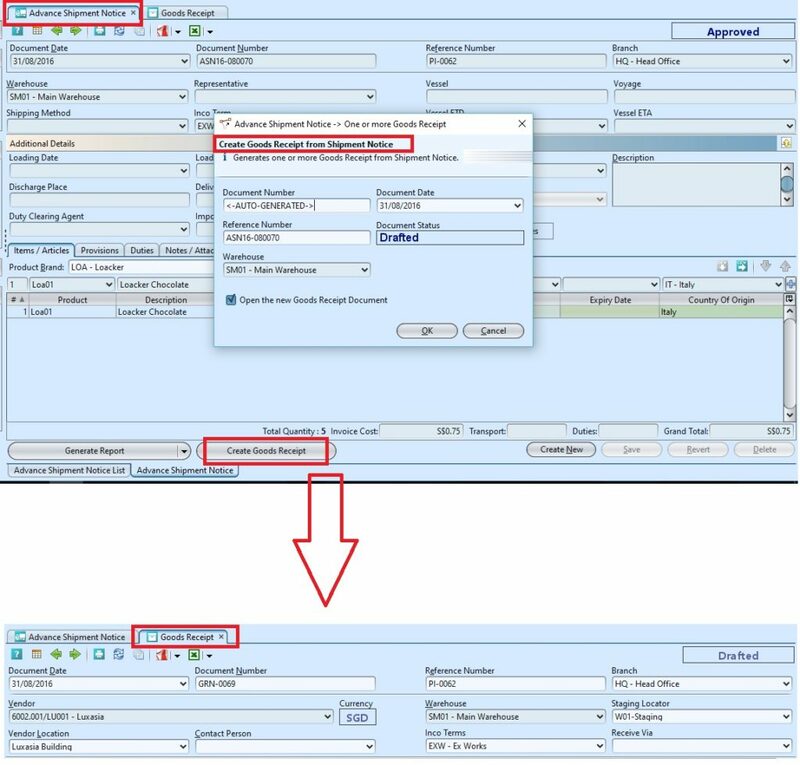 Provision scheme entered in the “Provisions” tab will be filtered to match the Vendor’s currency. 4. The landing cost for the items will auto generated at the “Landing Costs” tab. 5. Click on “Notes / Attachments” tab at the middle of screen to add notes or files attachment for the goods receipt. 7. Click on “Post Goods Receipt” button at the bottom of screen to post the goods receipt. 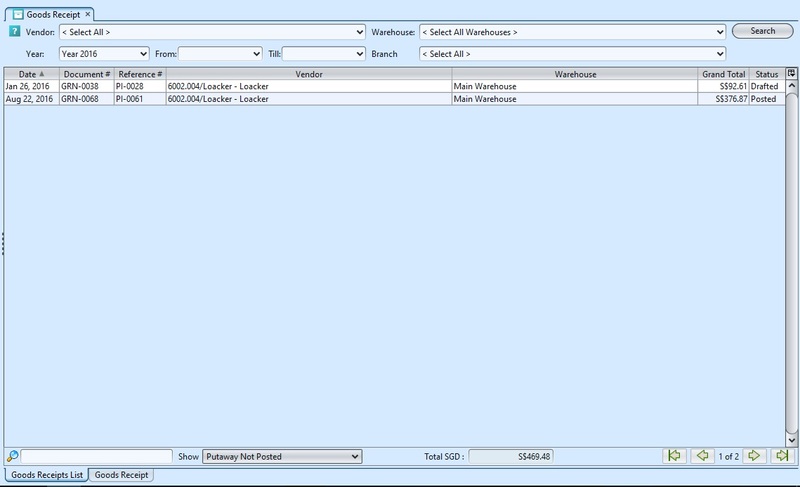 After posting of the goods posting, inventory journal entries will be automatically generated at the “Postings” tab. 9. 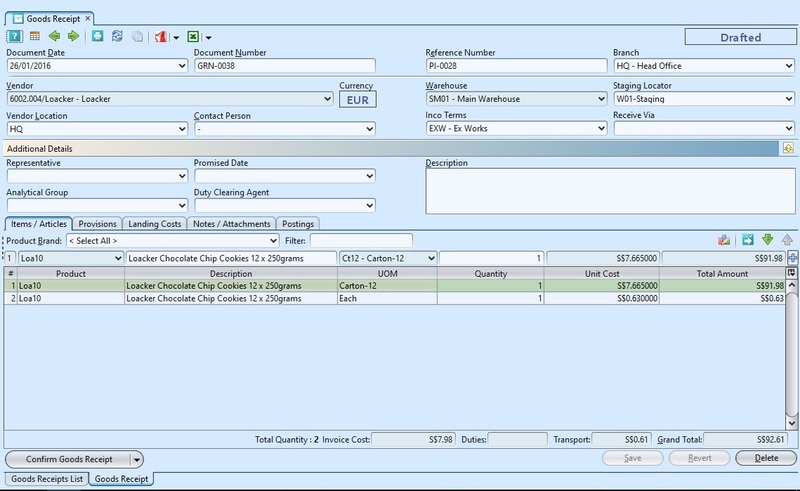 The putaway for the items will be automatically generate after posting of the goods receipt. Click on the “Putaway” link beside the button to view the putaway document & process it. 7. Click on “Post Goods Receipt” button at the bottom of screen to post the goods receipt.